What's in the New SMSBump Enterprise Plan for Shopify Stores Going Big? The SMS marketing features of SMSBump are becoming a big part of the daily routine of Shopify merchants for increasing their sales and customer loyalty. 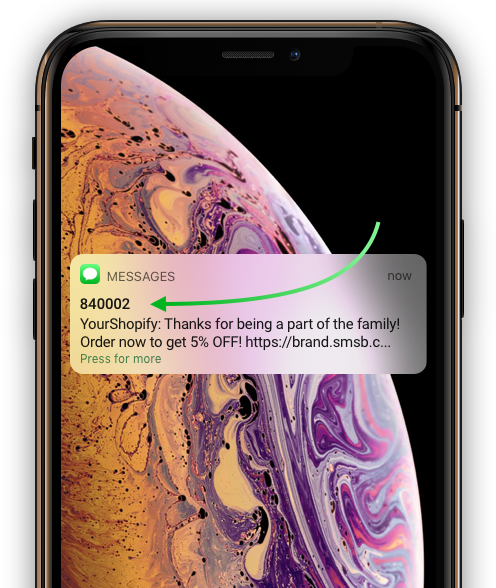 It’s time to provide more opportunities for growth and scaling to agile enterprise businesses that want to move fast and keep their customers in-the-know as instantly as possible using SMS notifications, updates and promotions. Learn more about the new SMSBump Enterprise plan and choose what’s right for your Shopify business. Choosing SMSBump Enterprise will give you unlimited access to all of the business features, and more. Send SMS promotions & notifications from your brand name. Gain instant recognition and increased brand awareness. Certain terms & conditions apply here. 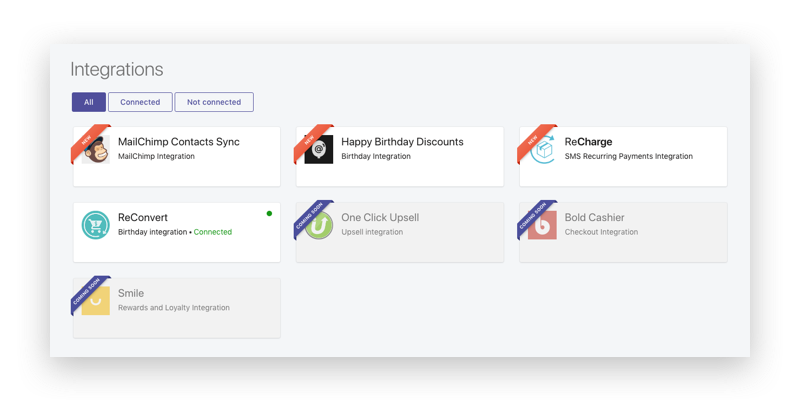 Gain access to all the Shopify app integrations to expand the reach of SMSBump and add more premium functionalities to your store. Grow your subscriber lists with SMS keywords. Let customers subscribe for your SMS marketing offers, deals and promotions by texting back keywords you define. Hit the timing sweet spot by scheduling your SMS marketing campaigns based on your customer’s time zone. Be globally effective by always sending the right message at the right time. Build your own branded short URLs so your customers instantly recognize your store and business name in the message links. Improve link trust, increase brand awareness and simplify recognition. Find the most effective message by A/B testing your SMS marketing campaigns. 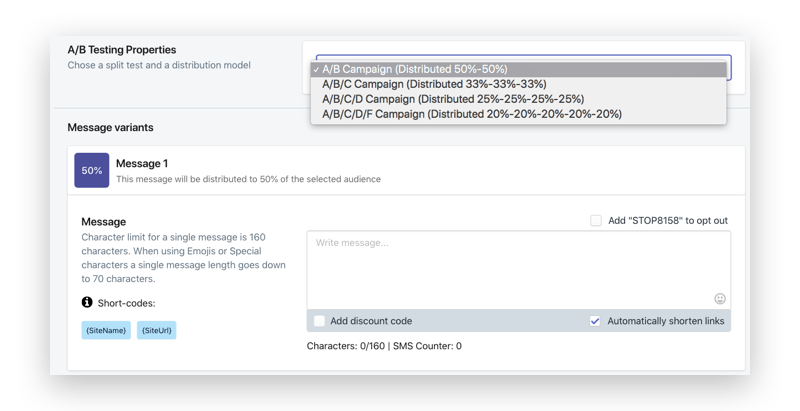 You can launch up to 5 different SMS messages equally distributed to your audience so you can find the one, single message that beats all others. Your own US shortcode to allow you unlimited freedom of sending and receiving text messages from your customers. Getting serious about SMS marketing? Get ahead, become recognized and stay compliant.